The Maximo is the ideal chair for growing kids. 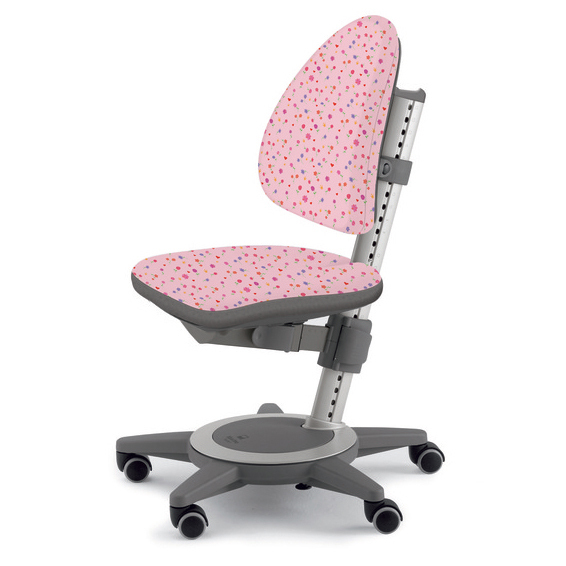 With seat depth, height and back rest height adjustable independently, the Maximo will fiot your child like a glove, now and until they are all grown up. 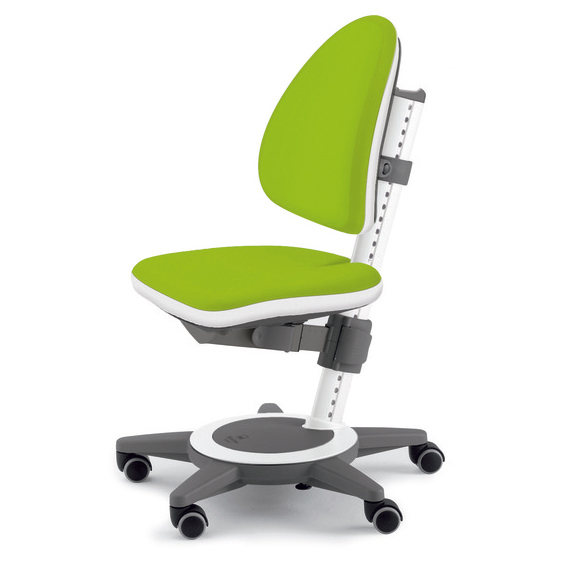 The Maximo provides all of these, and that is why it is the gold standard in kid's chairs. The Maximo supports little kids from the age of 4 to sit with their back against the backrest, feet on the floor and with it's oscilating backrest gives them the freedom to move. 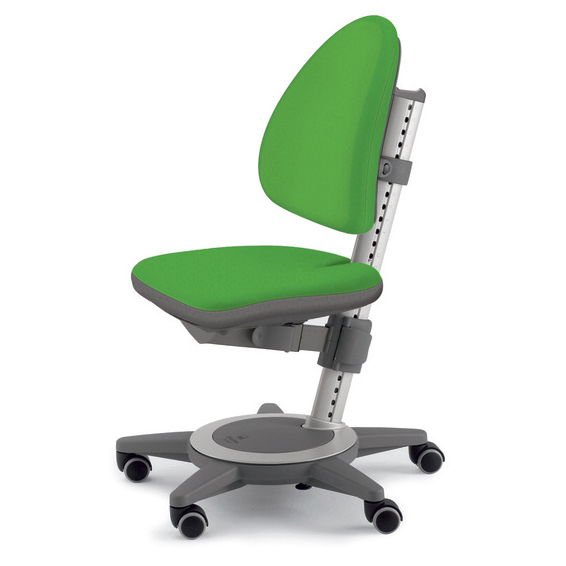 The depth of seat, height of seat and backrest are child’s play to adjust (with measuring scale). Child friendly, slim cushion shape. The back pad can be easily exchanged because of its bayonet fastener. 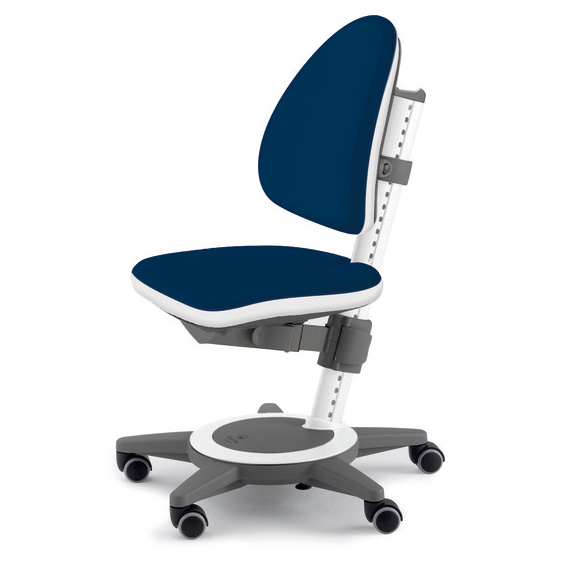 Seat with shock absorber for improved seating dynamics and comfort. The chair’s column is fitted with a cover cap, which can be exchanged for the practical handle included in the delivery. The wide foot cross with five legs gives stability and safety. The castors act as brakes and are suitable for hard as well as soft floors. The TurnStop can be activated to block the swivel function of the chair. The castors can also be exchanged for sliders. Gliders are available as an accessory. The covers are changeable, so you can refresh your chair after a few years or as your child's taste (or their room decor) changes. The Cushion covers are also washable, so they are 'Almost' kid proof. The Maximo is designed and made in Germany, and has a 5 year warranty as standard. The german engineering and production are evident in all moll products. We have the entire range of Maximo Cushion's in stock.